Steven (Chicagoland, United States) on 3 July 2010 in Abstract & Conceptual and Portfolio. A rare weekend post, but thought I would post something for the Fourth of July holiday weekend. 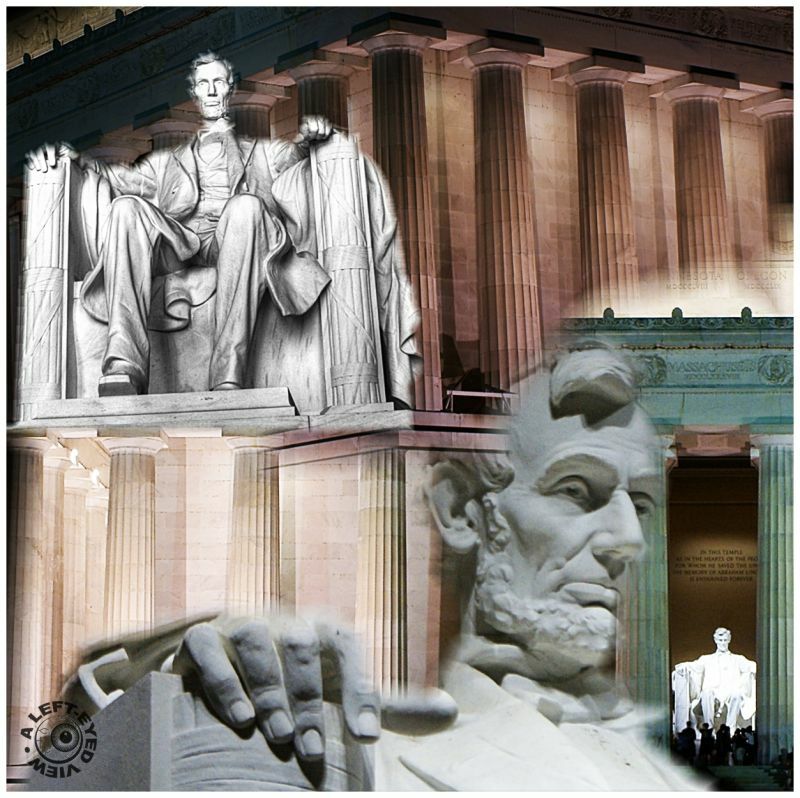 Here is a montage that I created of the various photographs that I captured at the Lincoln monument in Washington, DC. Photographs captured May 5, 2010. Very apt . . I like the presentation, too . . like a mind-full of thoughts. Very nicely done. I like the color palette as well. Superb composition and your framing is very good. Excellent work. Have a lovely week-end Steven. I see this is keeping you busy. :-) Have a great holiday! Steven this is great - a marvelous job you did here. Everything about it is very unique - very nice and have a great 4th! I love it, a great 4th tribute!